With just two days left for exchanging old currency notes, the government is at full throttle in fishing out black money hoarders and is notifying regulations day in and out. Now, the government has warned that those found in possession of black money post raids will be levied with a penalty as high as 137%. A penalty of Rs.50,000 on holding ‘high amounts’ of demonetised currency after December 31 is also expected to be announced soon. 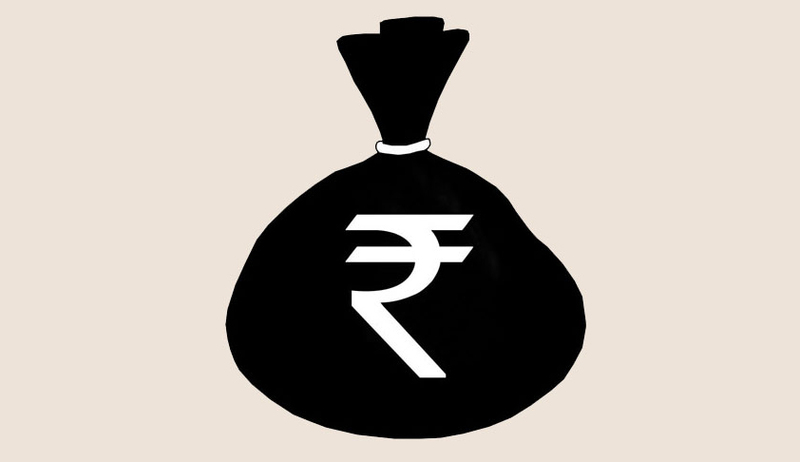 As per the authorities, if, during the course of raid, one fails to admit or explain the source of the cash discovered in his possession, he will have to bear a penalty of 137.25 per cent, which would be accounted for by levying 60% tax, 60% penalty, 15% surcharge, 3% education cess surcharge. If admitted during the search and if the person is able to substantiate his earnings, a total levy of 107.25% would be imposed. In this case, the assessee will attract 60% tax, 30% penalty, 15% surcharge, 3% education cess surcharge; amounting to 107.25%.The department, however, said that tax evaders can come clean by paying 50% on bank deposits post demonetisation. The existing slab for penalty of 10 per cent, 20 per cent and 60 per cent of income levied under section 271AAB has been rationalised to 30 per cent of income, if the income is admitted and taxes are paid. Otherwise, a penalty at the rate of 60 per cent of income shall be levied, the department said. While the government has imposed penalty on unaccounted accumulated cash, it is anticipated that an ordinance may soon be brought out that would penalise holding of ‘high amounts’ in the debunked Rs.500 and Rs.1000 notes. Though no confirmation has yet been received. Reportedly, a source in the government said: ‘There is a thinking within the government to provide for penalising those caught with high amounts of banned notes. If this is introduced, it will be in the form of an ordinance’. A Cabinet approval would make way for the implementation, added the source. It was further informed that there would be a cap on holding a maximum of 10 notes each of Rs.1,000 and Rs.500, after 30th December. Any violation may attract a fine of Rs.50,000 or more or five times the amount in custody. As per sources, even after December 30, exchange of limited value in old notes will be allowed at RBI offices. However the official said: ‘There will strict monitoring of the source of the notes being exchanged after December 30.’ As the cash crunch continues, the government is expected to come up with new cash rules on December 30.